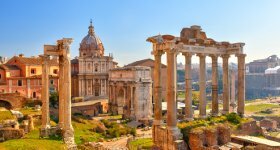 Discover Rome, The Vatican, Florence, Venice, Milan, Pisa, and more. 24/7 rapid confirmation on many tickets & tours. 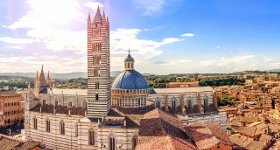 Siena Palio, 2019 runs online! We're offering early-bird discounts on Siena Palio 2019 tickets. Verona Opera Festival 2019 Edition. Aida, Carmen, Il Trovatore, La Traviata & Tosca. Tickets on sale, with early-bird discounts. Looking for Last Supper tickets? Tickets are typically available for the upcoming 2 months, with some dates beyond that. Click here to check for availability. Sign up for our 2019 news/mailing list. 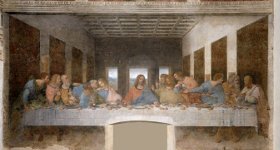 The Last Supper: viewings of Leonardo da Vinci's masterpiece, Milan. The Colosseum: skip-the-line tickets for the Colosseum, Rome. Vatican tickets: fast-track entry for the Vatican & Sistine Chapel. 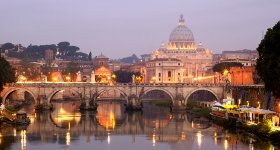 Vatican tours: a wide range of guided tours of the Vatican & St Peter's. 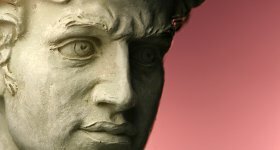 David, Florence: fast-track entry for Michelangelo's masterpiece. The Uffizi Gallery: skip-the-line access to Florence's treasures. Leaning Tower: advance tickets for the Leaning Tower of Pisa. Reserve online, avoid the queues - ticket and tour booking for Italian galleries, museums, events & attractions across all of Italy. 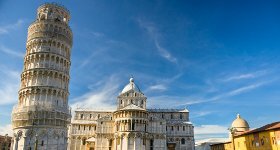 Based in Italy for over 10 years, a 4.6 star rating from 5000+ reviews, we supply around 150,000 tickets and tours each year. Use the menu up top to browse by city, scroll down for best-sellers, last-minute offers and latest news. A selection of reviews and press write-ups over the years. We're proud of our customer service and have been collecting reviews from people who've reserved through us for quite some time. Please do get in touch with us with your comments - we're always looking to improve! 4.6 out of 5 based on 9642 recent ratings - read 5651 user reviews here. 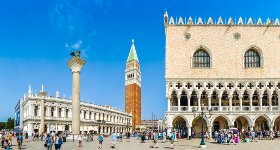 "I used them for Venice tickets in March and they were wonderful, in case we hadn't got the email tickets they faxed copies to our hotel (we didn't ask for this, they did it off their own initiative as we were a last minute booking). Wonderful service, from English speaking personnel, I will use them again in August for our visit to Florence. I would recommend them to anyone." "I made reservations for both of these online at tickitaly.com. They actually gave me a reservation time so we didn't have to stand in the long lines. It worked beautifully. This might be the way for you to go since you are on a limited time schedule. BUT YOU MUST SEE DAVID! He is absolutely magnificent! 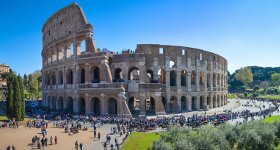 :-)"
"I used tickitaly.com to buy tickets to the Colosseum and also to the Uffizi Gallery and Academia in Florence and I was glad I did it! There were very long lines at all 3 places and we got to walk right past all of them to the front and go right in. 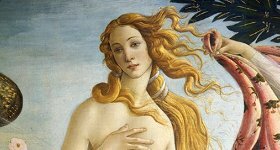 We had to wait 5 or 10 minutes to get in at the Uffizi Gallery because there were assigned times on our tickets, but we were placed at the front of the line and were allowed to go in ahead of everyone else." "Two nights in Florence (approx 3 hours by train from Venice) was enough to see the baptistery, the Uffizi (prebooked tour through tickitaly.com - good tour guide! ), the Academy, and the Archaeological Museum (which we literally had all to ourselves!) and a short visit to the Boboli gardens." 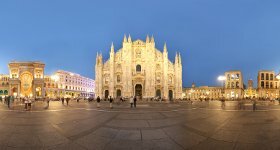 "I booked tickets up on the net only a day before we arrived in Milan through Tickitaly , as I thought it was my third trip to the city and I should really make the effort. Also I was taking my fiance for the first time. I paid over the top for the tickets at 15 Euros each, (normal price on the day 8.5 euros) but at least I got the chance to take a look at the masterpiece." Booking tickets in advance for some of the major attractions could only be described as Byzantine if Rome were a couple of hundred miles to the East. As it is, Nicolo will have to be proud of the adjective Machiavellian. It is truly impressive in its complexity and opacity. There is, however, an oasis in this desert of opacity. It is called Tickitaly.com and it was referred to me by an online friend from over at the Tom Bihn luggage forum. "We booked an afternoon 3 hour tour of the Vatican Musuems. Our guide Guilia was very professional and well informed about the history and the arts in the museums. She said we were very lucky because it was a quiet afternoon and not a lot of people were around so we could appreciate the art and statues up close. I would definitely recommend Tickitaly! " Visitors to Milan hoping to see Da Vinci's greatest gift to the city - The Last Supper, housed in the Santa Maria delle Grazie - need to book months in advance. 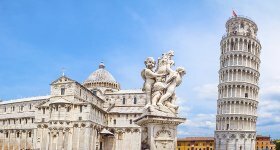 If you can't get a slot, consider a guided tour – Tick Italy (tickitaly.com) has a wide range of options. Welcome to tickitaly.com. 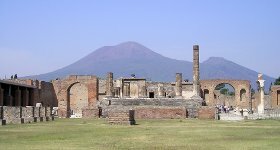 We are licensed advance reservation agents for ticket booking for Italian state museums, galleries, attractions and events. We've been organising tickets and tours for over a decade, with hundreds of thousands of line-skipping customers! 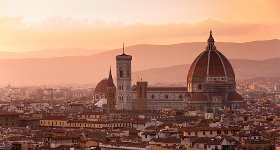 Book online your tickets for the Uffizi Gallery and the Galleria dell' Accademia (both Florence, both popular - read here why we strongly advise you book as far in advance as possible), home to possibly the most famous work of art in Italy, Michelangelo's David, for the Leaning Tower of Pisa, and for the Colosseum, Colosseum dungeons by night, and the Borghese Gallery in Rome. 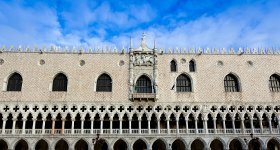 Make reservations to view Leonardo Da Vinci's 'Last Supper' in Milan, the Palazzo Ducale in Venice, the ruins of Pompeii and Vesuvius, the Verona Opera Festival or Andrea Bocelli's 'Teatro di Silenzio', plus many other must-sees in Italy. 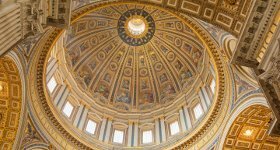 We provide tickets for the Vatican, as well as guided tours of the Vatican - the Vatican Museums, St. Peters, The Vatican Library and the Sistine Chapel. The booking process is carried out on a Secure Server, and you'll be charged nothing until we've confirmed your reservation - a great many products will be confirmed within a few minutes of being ordered - look for those marked as 'Rapid confirmation'. Just fill out the booking form, give us your preferences for date and time, and we'll do the rest (how long does it take?). You'll be emailed a link and a login to a web page from where you'll be able to print out or download your booking vouchers; present them at the door, and you're in!